No mattters whether is belongs to work or personal use, Microsoft Surface Book 2s are best in both cases, so it can be quite a hassle when your laptop breaks or malfunctions. At Smart Repairs we offer a various number of repairs for different laptop and brands. We have experience in Microsoft Surface Book 2 repair services ranging from screen replacements to dock connectors, and everything in between. Our experts know how important your laptop is to you in your daily life which is why we are focused on delivering fast, quality repairs you can count on. Smart Repairs offers you to get repaired your Microsoft Surface Book 2s at our approved service center near you. For best repairing services with reliable and fast environment, choose Smart Repair for your Microsoft Surface Book 2 repair or any other tech repair. Our repair services are always fast, affordable, and even come with a limited lifetime warranty to ensure your laptop is always in good hands. Most of our repairs can be made within one business day, so you can get back to using your laptop as soon as possible. With parts in stock and the best warranty in the business, we don?t just offer the best service, we also provide peace of mind and tremendous value. At Smart Repair, microsoft surface book 2 Repairs services don’t have to break the bank. Our services are both fast and budget-friendly. Depending on the type of damage and the extent of the damage to your microsoft surface book 2, repair costs will vary. For an accurate estimate on your microsoft surface book 2 services, please contact your local SR store. We can repair all Microsoft Surface Book 2. Our skilled technicians can perform Microsoft Surface Book 2 repair within 24 hours. Choose the repair service you need for your Samsung Galaxy Tablet, and follow the checkout process. Bring you device at your local Smart Repair approved stores and and we will take care of the rest. Contact us today for a repair quote on your Microsoft Surface Book 2 device. 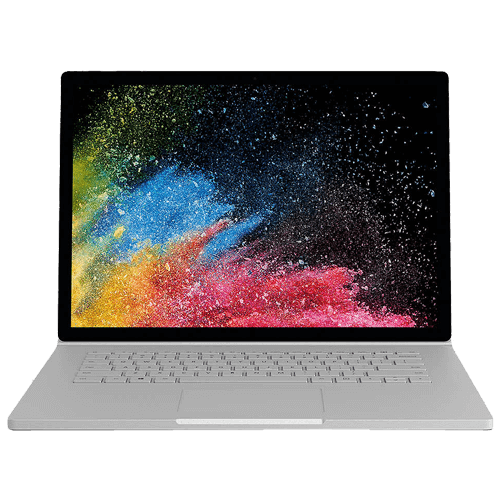 Using our simple booking system, select your Microsoft Surface Book 2 repairs and pay online. Bring your device into our nearest store, where our technicians will test and repair your device. Your Microsoft Surface Book 2 in most cases will be turned around same day.